This 38 cm enamelled deep paella pan is suitable for making stews (suquet de peix) or brothy and creamy rice dishes for 10 - 15 people. 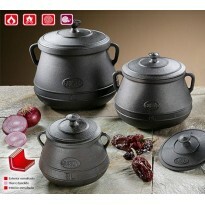 Cook on a low heat and enjoy the more traditional recipes brothy and creamy rice dishes and stews. 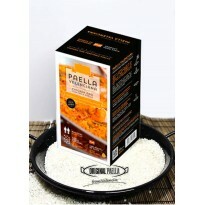 The coating of enamel helps to an easy cleaning and maintenance of the paella pan. For more information on care and cleaning please see the "Care Instruction".